In “The Wake,” fifteen-year-old Kris tries to comfort her great-aunt Mil, who is grief stricken over the death of Puttins, her old cat and longtime companion. With her grave, golden-brown eyes and long, graceful paws, “The Greyhound” is almost human . . . and Kris’s friend Phillip is determined to save this special, endangered dog. Even if her father doesn’t understand her love of animals, Kris realizes that your “Extended Family” can be as big as you want it to be, including cherished pets and not just your (sometimes unlovable) blood ties. “Horse Man” is James MacLiesh, who believes he was “bred to ride,” just as horses were “bred to be ridden.” And in the title story, James is torn between loyalty to his faithful horse Robbie and his dreams of glory with a sleek, majestic steed named Avatar. 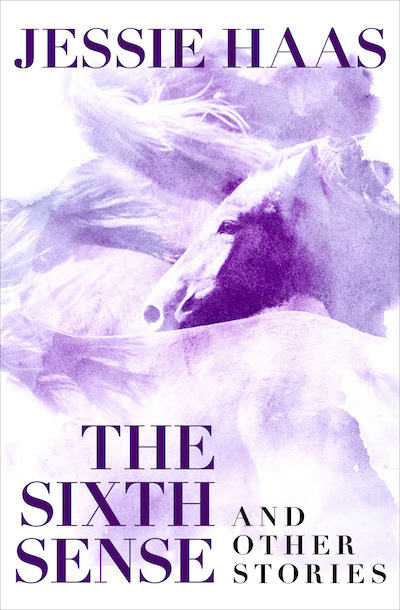 Everything changes when horse and rider get lost and James has to depend on Robbie, whose ancient animal understanding lights the trail home and leads them to a surprising destination. These and the other stories in this collection illuminate the powerful, enduring bond between animals and people.